So when's the last time you made popcorn on the stovetop? For a long time we were fans of the microwaveable popcorn bags - no fuss, no muss! But in an effort to be more natural, we stopped buying microwaveable popcorn and bought ourselves a Whirley Pop. If you haven't heard of this fun popcorn popper and you're a popcorn fan, you're missing out! Whirley Pop is this simple pot that has a stirrer attached to the pot's handle. This stirrer allows you to stir the kernels and mix the popcorn as it cooks on the stovetop. We love that this popper has allowed us to save money by using natural corn kernels and knowing exactly what's going into our popcorn as it pops. Flavoring popcorn couldn't be any easier either. As our popcorn pops, I'm able to make some flavored butter, which is poured into our WhirleyPop after it's done popping. With a quick crank of the handle to toss the popcorn in the flavored butter, we've got flavored popcorn in seconds. If you don't have a Whirley Pop, you're still able to enjoy flavored popcorn. Simply pour your plain popcorn in a large bowl or pot, drizzle the melted butter in and stir to coat. In a small liquid measuring cup, melt the butter in your microwave. Stir in your preferred seasoning into the melted butter until dissolved. Pour this melted butter over your popcorn and stir to coat. I'm a popcorn junkie, but I am not a fan of the microwave kind. I always make it on the stove and it's sooo much better! I'll have to try a flavor soon, but I'm generally a butter and salt kinda girl. This is perfect for all the dried corn being sold at the farmer's market right now. I like the chili version! You can definitely taste the difference between microwave and stovetop popcorn. I usually go with the parmesan cheese topping. We don't do flavored popcorn nearly enough. LOVE the spicier flavors. Nutritional yeast also makes a great cheese substitute on popcorn. I learned that trick from a vegan friend and even DH thinks it tastes great. Love this idea! It would be so much fun to have a flavor-your-own-popcorn bar at a party. 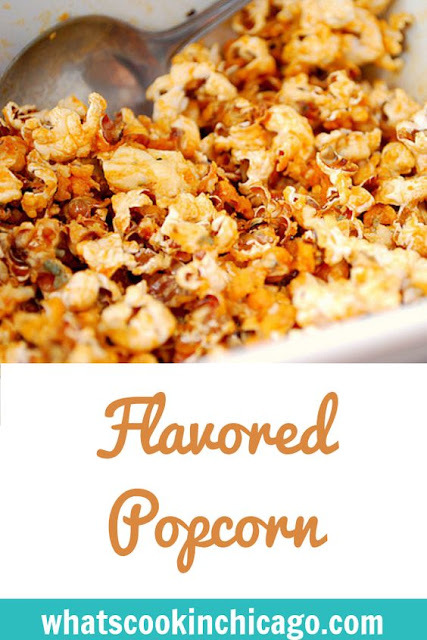 I love flavoring popcorn - in fact, I am doing two kinds for a party this weekend! One is BBQ popcorn with peanuts mixed in, and the other is going to be doused in a chili lime butter. The chili lime popcorn is GREAT to sneak into the movies! Thanks for the great ideas! We eat a lot of popcorn at our house and I haven't found any store bought seasonings I like. 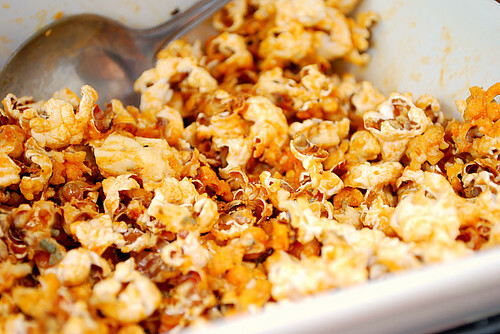 I'm especially loving the idea of the blue cheese on the popcorn! These popcorn variations sound great! I just made some triple chocolate caramel popcorn, and was looking for savory flavors. Thanks! I am addicted to flavored popcorn from my favorite popcorn store. Microwaving popcorn is like putting ketchup on your Filet. Carmel popcorn has to be my favorite!! Awesome! 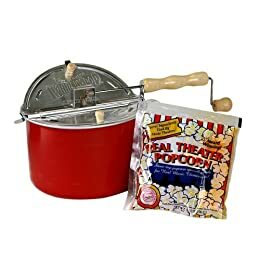 I grew up with stovetop popcorn, and I still love making popcorn that way, but I recently got a Whirley Pop and am looking forward to trying it out.